Let your geek flag fly! Children’s books which inspire and entertain little ones, all while using their favorite characters, always make me smile. Be A Star, Wonder Woman does just that. Written by Michael Dahl and illustrated by Omar Lozano, this adorable storybook continues the series of books which mirrors the daily activities of children with those of some of DC Comics most popular superheroes. The series began with Batman in Bedtime for Batman, then came Superman in Good Morning, Superman, and now Wonder Woman is joining in. This instillation is a little different than the first two books, as it doesn’t focus on a particular routine and focuses more on a particular mindset. 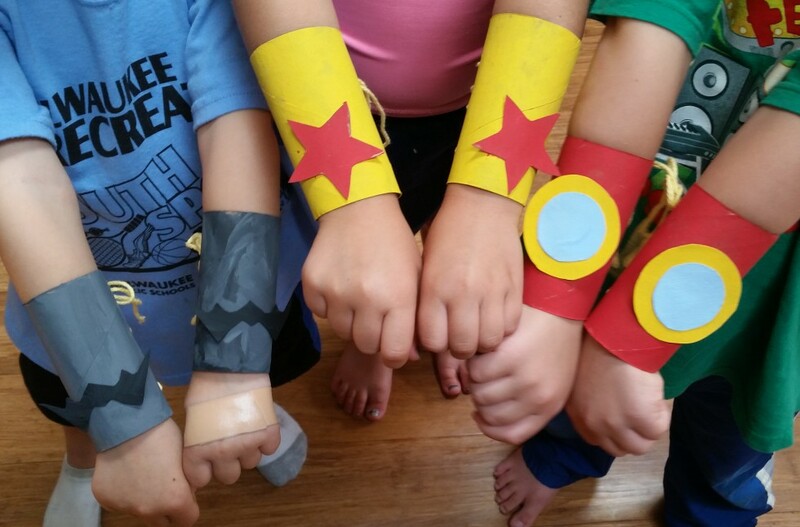 In Be A Star, Wonder Woman, Dahl uses Wonder Woman’s positive attributes to demonstrate to young fans how they themselves can be like a superhero in their everyday lives. Many times children see superheroes as possessing qualities that they never could. This book, shows them that actually they can be like superheroes. With each obstacle the young girl faces in the book, Dahl provides an example of how it is similar to situations that superheroes face. He also shows how the girl’s solutions to her challenges are just like Wonder Woman’s solutions. Challenge after challenge, solution after solution, each one shows how superheroes are just like anyone else. Also, Lozano’s use of bright, bold colors along with classic DC Comic images, provide readers with illustrations that more than compliment the Dahl’s story. Lozano’s artwork is so full of little details it could tell the story visually without words. Overall, the youngest geekling and I truly enjoyed the book from start to finish. This book’s positive and encourage messages, along with the adorable artwork, would make this a great addition to any little fan’s bookshelf. Next Post Huge List of October Star Wars Book Releases – Just Take My Money!